Writing retreats are hands-down my favourite way to make substantive progress on a manuscript. But it’s also true that I had discovered a secret weapon. I would organize writing retreats for myself. Not the kind where you spend a month or so in the woods with a group of fellow writers, where there’s a lunch buffet every day (Hello Banff Centre!) or someone brings lunch to your studio door (Hello Yaddo! ), but private self-directed retreats that gave me some much-needed alone time with my writing project. I would look ahead on the calendar, identify a time when I could arrange childcare for my daughter and book a long weekend. And I mean “book” as in: outline that sucker in SHARPIE marker on your calendar and don’t let anyone talk you out of it, not even yourself. Especially not yourself. Once I knew when I could retreat, then I’d find where. There are private retreat centres nearly everywhere, and I’ve used a few of those at times. A lot of them are run by Christian or Buddhist groups and so were set up to provide a place of sanctuary for people to use them for retreat. Sometimes I’ve gone to places requiring silence, or where others are also there on small group retreats. While I was working on my first book, my friend Nadine and I would regularly organize writing retreats for ourselves. Nadine wrote a few of the stories in her gorgeous short story collection Blood Secrets on those retreats, and I completed a poetry manuscript. We may or may not have also completed a few bottles of wine. I remember that at one point, we had all the poems from my emerging poetry collection papering the floor of the retreat house living room to help figure out how to best structure the book. Turns out walking on poems can help you build a table of contents: who knew?? 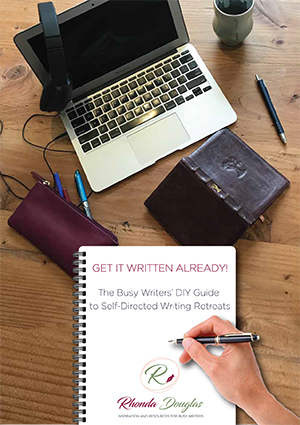 If you’re struggling to find precious hours of concentrated and uninterrupted time to work on your latest writing project, then self-directed writing retreats might be helpful for you too. 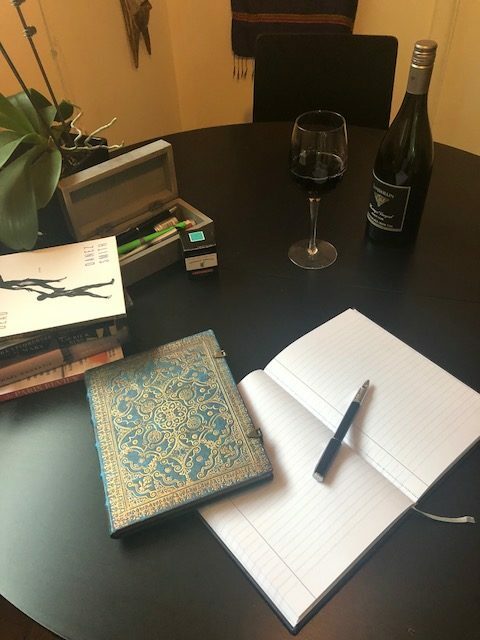 If you’re open to giving it a try, I’ve prepared a guide to help you structure your own writing retreats to make them satisfying and productive. If you scroll down to the bottom of this page, you can grab a copy for yourself. I’d love to hear if you organize your own writing retreats – please come find me on Twitter, Instagram or on my FaceBook page. If you’d like to share a photo from your self-directed writing retreat with me (after your retreat, k? ), then I’ve got a special gift for you so we can celebrate together! That is a serious offer: because making the time for your writing in the middle of ALL OF THE THINGS going on in your life deserves some real celebration. Remember to be gentle with yourself as you go.